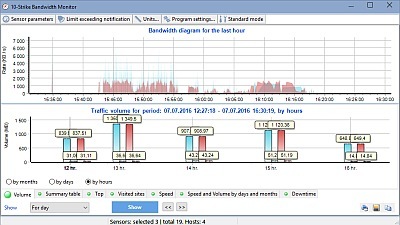 The program also stores the traffic usage and the network bandwidth history. 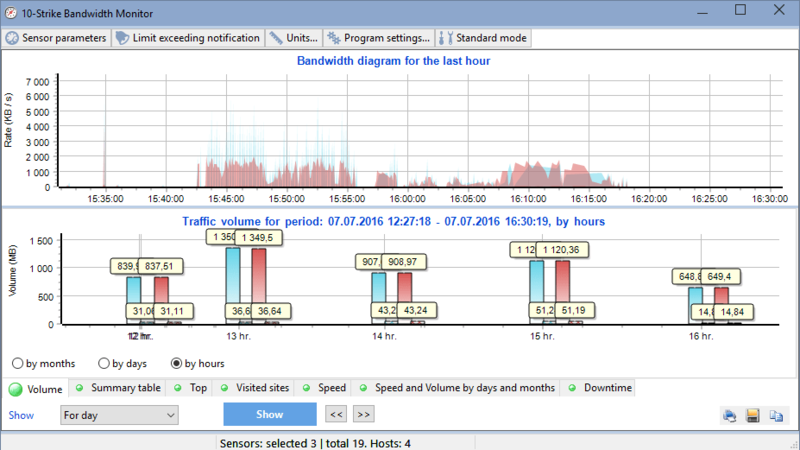 So, you can watch the bandwidth charts for any date and time, watch daily, weekly, and monthly statistics. 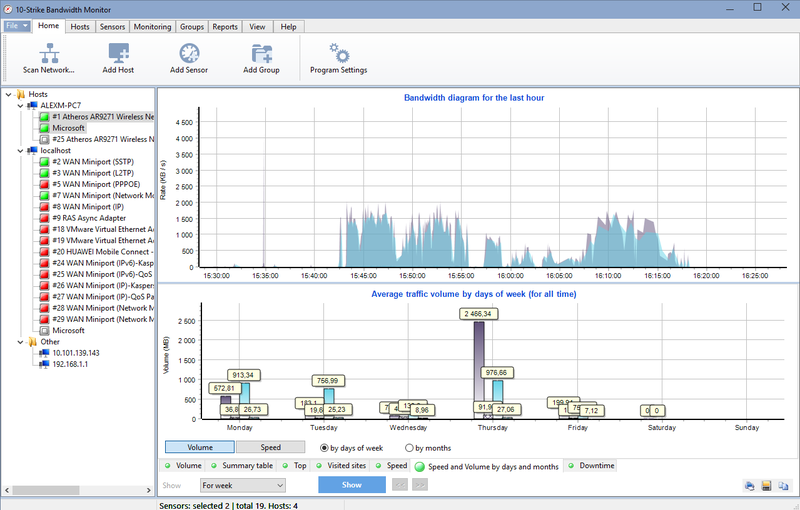 The gathered traffic statistics can be visualized as charts, tables, and reports. 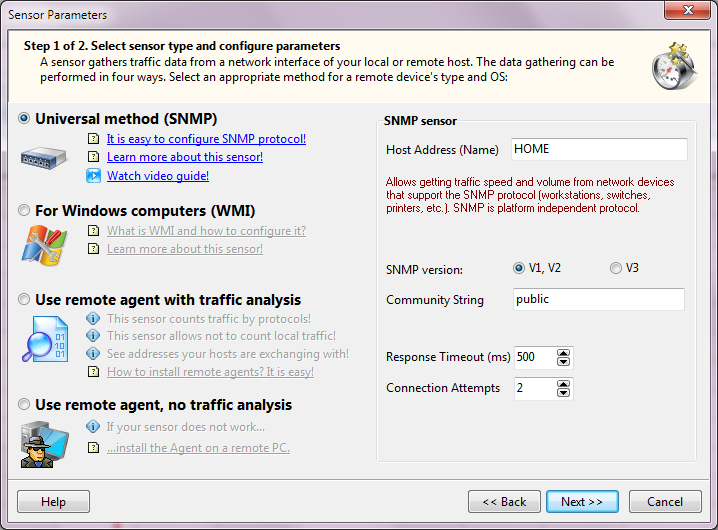 The network traffic data can be gathered using three types of traffic sensors: SNMP, WMI, and remote agents. 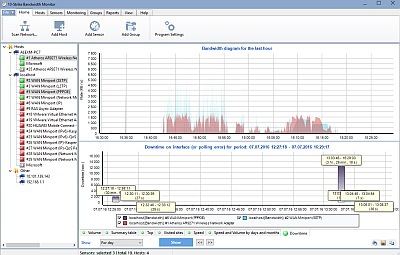 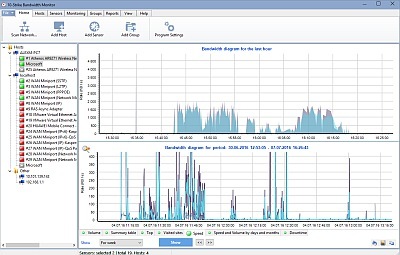 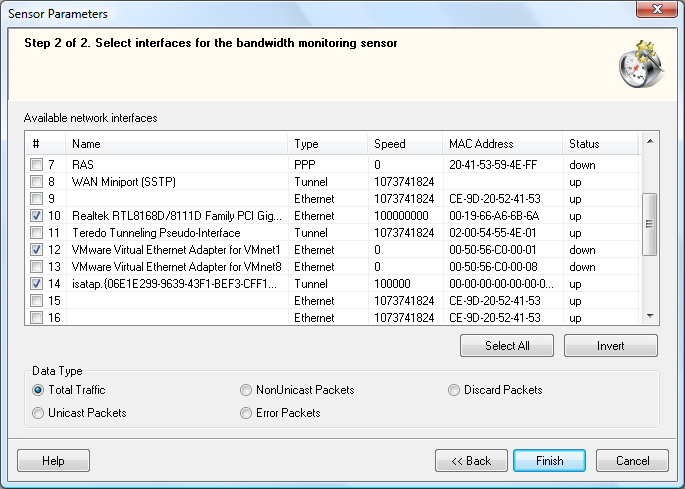 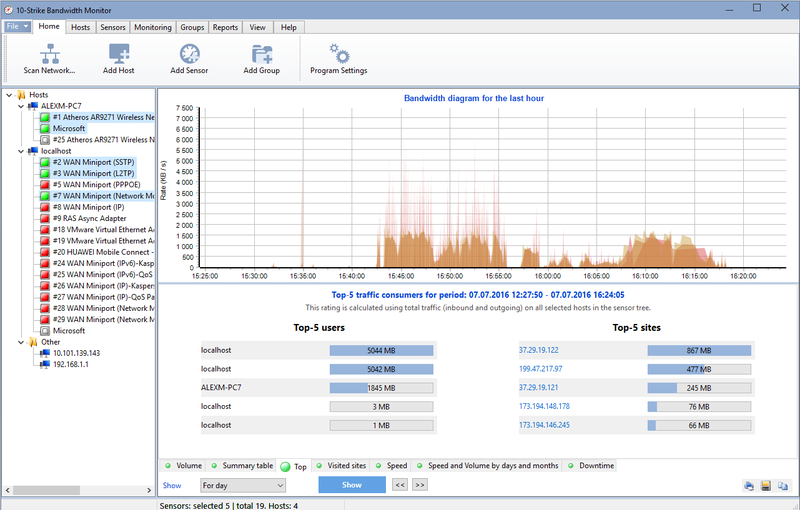 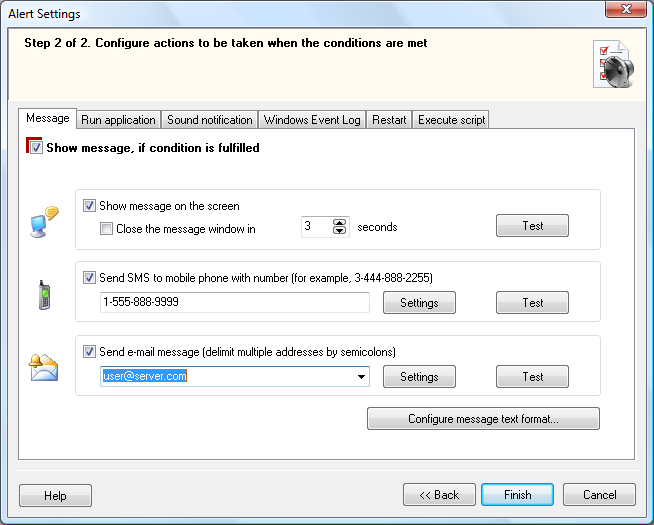 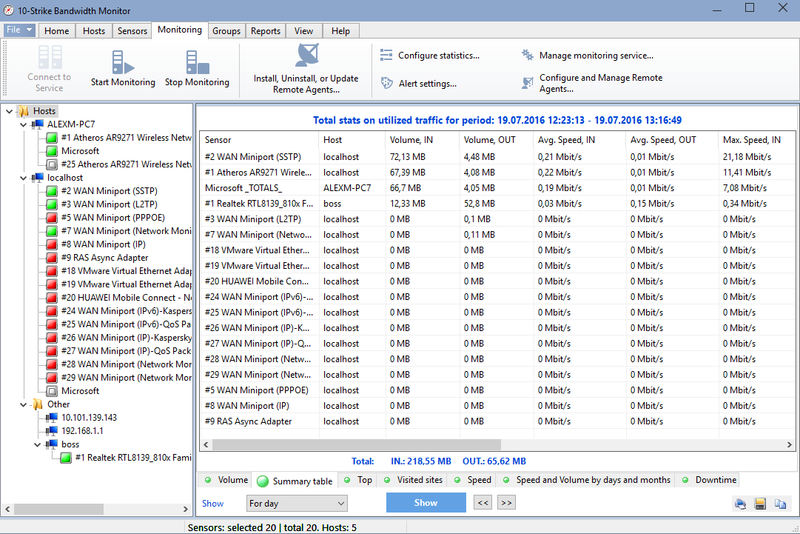 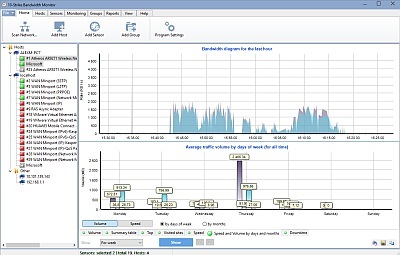 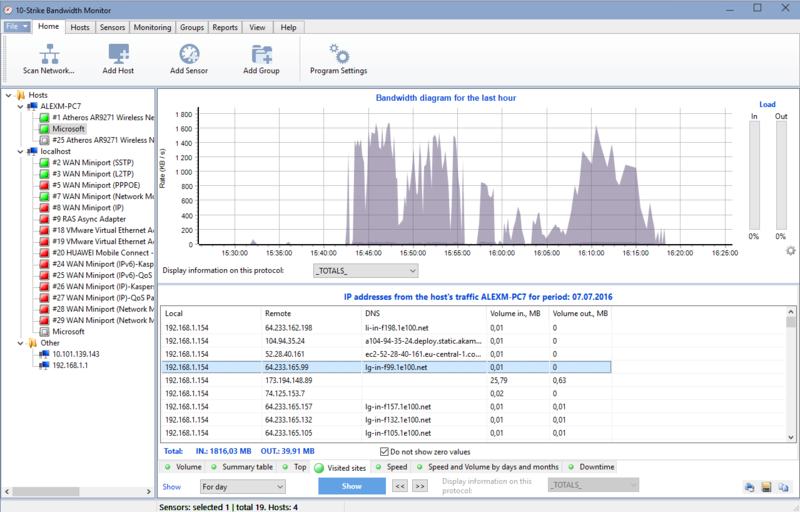 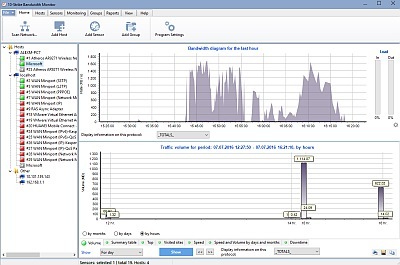 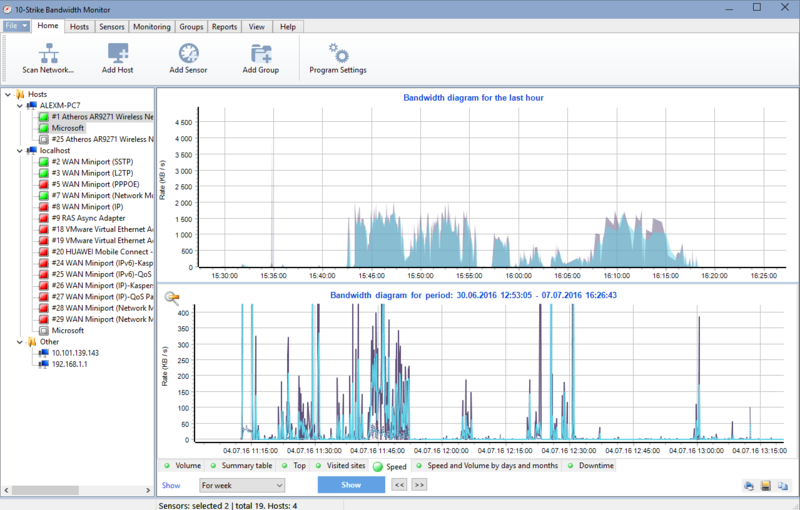 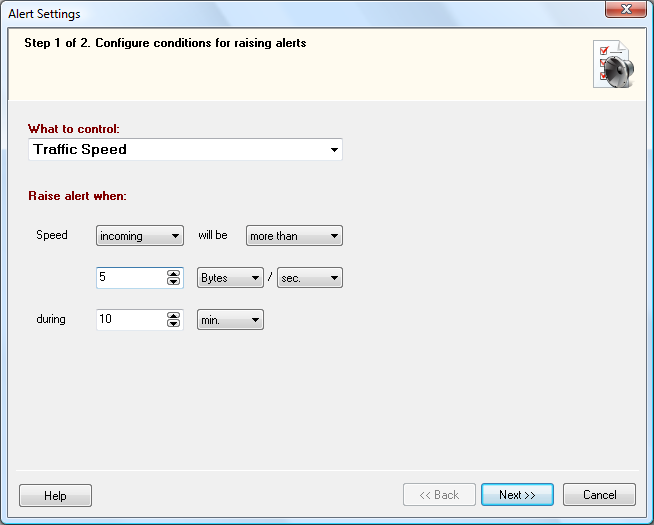 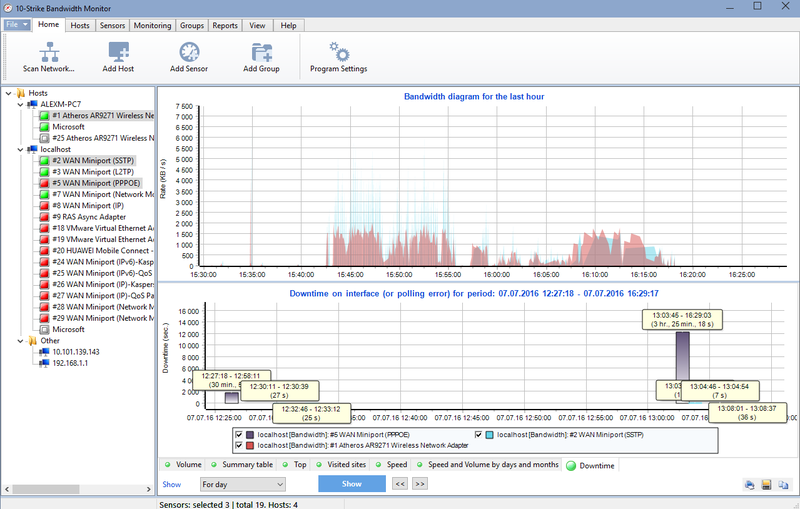 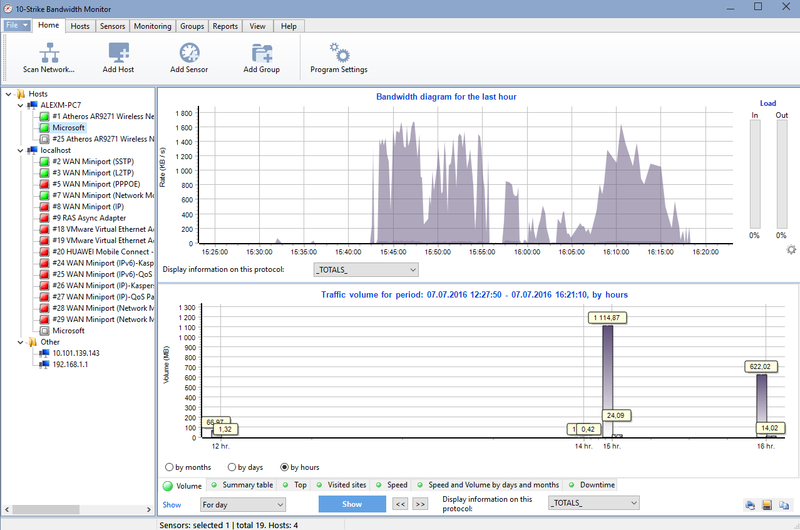 The bandwidth monitoring program can run various actions when the configured condition is met. 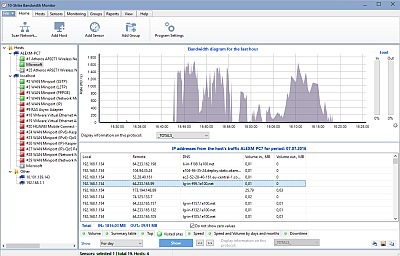 The actions include: running external applications, executing VB and JS scripts, restarting services, rebooting computers.